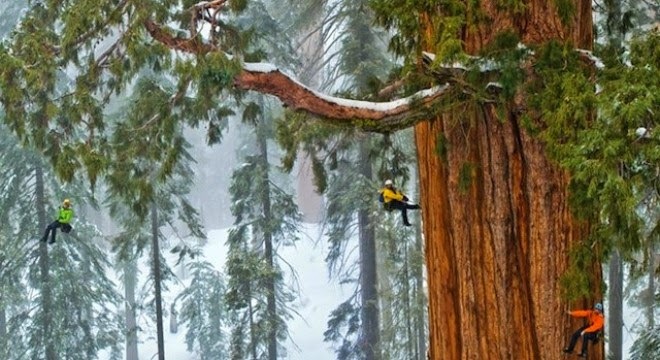 The world's second-largest known tree, the President, in Sequoia National Park is photographed by National Geographic magazine photographer Michael "Nick" Nichols for the December 2012 issue. The final photograph is a mosaic of 126 images. Michael "Nick" Nichols says: "It's not quite the largest tree on Earth," the magazine article reads. "It's the second largest. Recent research by scientist Steve Sillett of Humboldt State University and his colleagues has confirmed that the President ranks number two among all big trees that have ever been measured — and Sillett's team has measured quite a few." 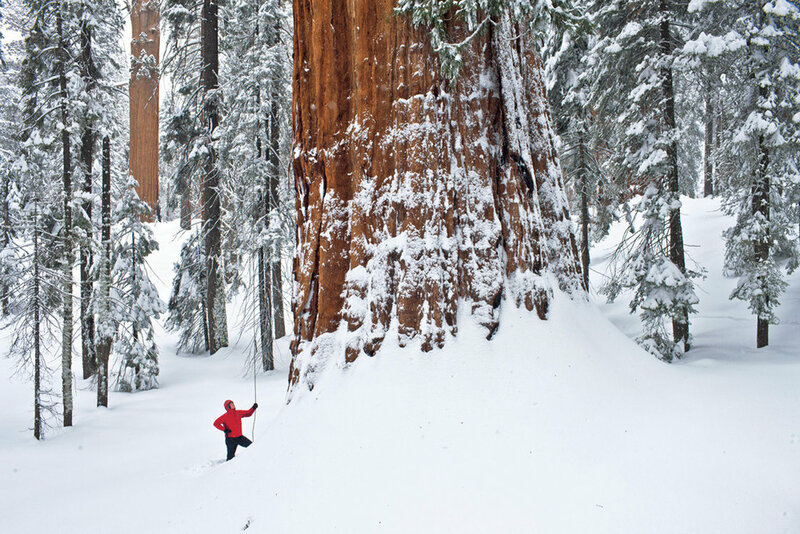 The giant Sequoia is a snow tree, says scientist Steve Sillett, adapted for long winters in the Sierra Nevada. But it's a fire tree, too. Thick bark protects it from burning in lightning-caused fires, which open cones and clear the understory, allowing saplings to find light and prosper. 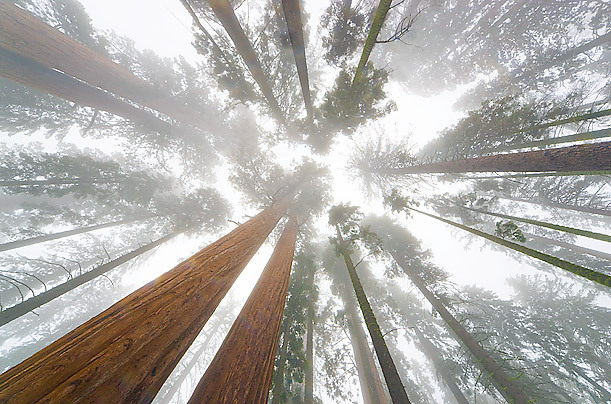 Sequoias continue to grow rapidly even in old age. In fact, the yearly output of wood produced by a tree like the President is greater than that of younger trees. I felt so lucky, because I had been hugging this amazing big tree.